In the last decade, singer-songwriter Diana Jones has brought her unique and original style of Appalachian singing and songwriting to devoted audiences on concert stages from Nashville to Amsterdam. 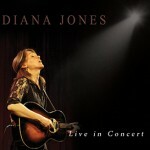 Following four critically acclaimed recordings, Diana Jones Live In Concert (Proper Records UK) was released in February 2016. This career retrospective features 18 songs and reveals what many have known all along – Diana Jones is one of the most mesmerizing live performers on stage today. 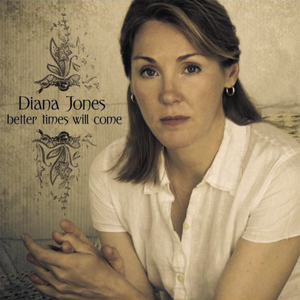 Diana Jones Live In Concert includes the artist’s most requested songs; Henry Russell’s Last Words, Appalachia, My Beloved, Better Times Will Come, Cold Grey Ground, Willow Tree, The Day I Die, Don’t Forget Me, Drug for This, Lay Me Down, and the award-winning Pony, among others. The record opens with Diana’s debut European performance at the 2007 Blue Highways Festival in Utrecht, NL, accompanied by Beau Stapleton on mandolin, tenor guitar and harmony vocals. Audiences in venues across the UK, EU, Ireland and the US create the atmosphere for Diana’s literary songwriting and heartfelt vocal delivery, which is spellbinding. Also included are three original songs previously unreleased: Prayer For My Brother, Happiness, and the stunning My Last Call, which closes out the shows. Jones’ backstory which is well known to her fans, is as full of intricate connections as her narratives. The almost mystical connection she felt to rural Southern music while growing up in suburban New York, which led to the reunion at twenty-three with her birth family in the Smoky Mountains of Tennessee. Her grandfather, Robert Lee Maranvville, a singer in the old time tradition, helped Jones make sense of her own distinctive voice and love of the storytelling genre. A lone pilgrimage to a cabin after her grandfather’s death produced the songs that became her debut release, My Remembrance of You, which launched Jones’s career. My Remembrance of You (2006), earned Diana two International Folk Alliance Award nominations, folk festival, radio and television appearances and cuts by Gretchen Peters and Joan Baez. Bob Harris introduced Jones to UK audiences on BBC2 Radio which led to her first UK and EU tours support for Nick Lowe and extended support for Richard Thompson. Her next recordings, Better Times Will Come (2009) and High Atmosphere (2011), led to appearances on Later with Jools Holland, Folk America on BBC Four with Seasick Steve, and Songwriter’s Circle on BBC Four with Steve Earle and Tom Morello, firmly establishing her reputation as a respected artist in the Folk/Americana music world. 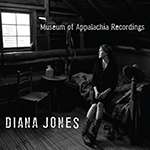 Diana’s last release, Museum of Appalachia Recordings (2013) brought the music back to the family roots. Recorded in a cabin at the Smithsonian sanctioned museum, the record received wide acclaim and led to an International Radio Award for her interview with ABC Australia’s Robyn Ravlich, tours of Europe, the U.K., Ireland and the United States. Diana splits her time between Nashville and New York City and looks forward to setting foot on the next concert stage in support of her new release Diana Jones Live In Concert.